Valtteri Kivikko will be running our new Tampere outlet! Our Tampere outlet opens up on 4.2. 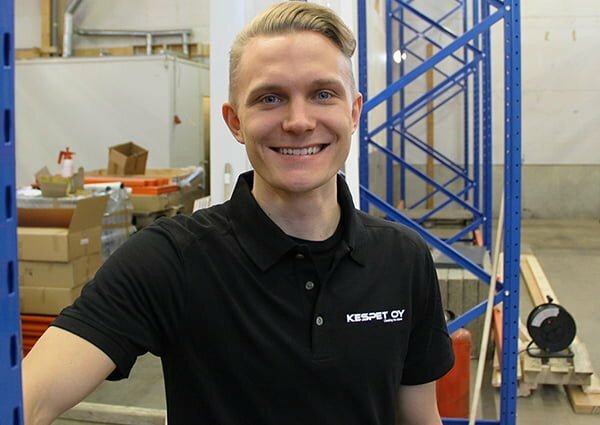 The man of the hour is our latest addition in the motivated Kespet crew, Valtteri Kivikko, who will be undertaking the role of Store Manager for our new outlet. Valtteri has worked in the car and vehicles industry before, in management and related tasks. He therefore already has the experience for the management side of things. However, he has also worked in our production facility before, granting him knowledge and experience of our products and services. This all combines nicely for the task at hand. – I definitely want to be a part of the process in which we create high quality services that fulfill the needs of our customers. I promise to do my best in order to secure a trustworthy, approachable service for all insulation related needs in the Pirkanmaa area. I’d like to send a warm welcome for anyone interested, to stop by our outlet starting on 4.2.2019!